When people need emergency restoration services after a catastrophe, they rely on the skills and know-how of the disaster restoration Miami experts with 911 Restoration Miami for everything. Water issues such as a pipe burst, toilet overflow, or even a local flooding event can be difficult work that needs to be remediated by trained professionals, and our disaster restoration Miami team are the workers that can help you. To give our client’s properties the bes technicians will arrive quickly to begin working on all of the specifics of your situation. With our offices opened all year round, our disaster restoration Miami members always have service agents on hand, standing by to assist you. We make sure to get our techs to your household within 45 minutes of receiving your emergency call. In concert with our capacity to arrive fast and prepared, our agents are standing by around the clock to eliminate troubles whenever they spring up. Our disaster restoration Miami operation is always standing by to assist homeowners in dealing with hurricane disasters, flooding, sewage, fire and mold. We are available 24/7/365, so you never have to wait long for help when you are in the midst of a disaster. Our disaster restoration Miami pros have many years of experience removing mold infestations, and our crew will provide you comprehensive services If you find yourself dealing with a massive leak, basement flood or any other home disaster, then you can call our operation literally any time, because our workers want to be there to assist you immediately. Our disaster restoration Miami experts know the importance of getting water cleaned up quickly, not only to prevent permanent damage, but to stop mold spores from growing into a full infestation. If your home is undergoing a water emergency or you find mold growing on your walls, then rely on our unit for help. 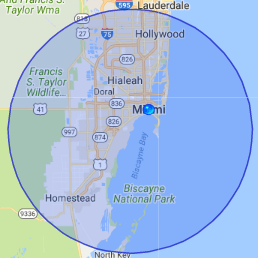 So, call our disaster restoration Miami professionals when you experience any type of water related emergency and our team will be at your doorstep before you know it, ready to begin clean up procedures. It goes without saying that hurricanes and bad weather cause flooding, but our disaster restoration Miami pros are licensed, insured and bonded to perform highly severe water extractions. Whether powerful rain and wind rips off part of your roof, or a flash flood submerges a section of your home, our skilled disaster restoration Miami experts will be there quickly to begin restoration procedures. Hurricanes can also cause fire damage, something that our disaster restoration Miami unit is well trained in. The intense winds can rupture gas lines, cause chemical spills and start fires by downed power lines. The unpredictability of storms can lead to unknown damages, but our experienced disaster restoration Miami specialists are ready for anything. We are also experienced in smoke damage caused by hurricane-related fires. Mold can also be a side effect of hurricane damage. In many cases homeowners experienced flooding in the house where there is standing water. As a result, black mold may develop on the walls and ceiling. Our disaster restoration Miami techs are licensed disaster restoration specialists armed with the latest technology in mold detection. We can banish all signs of dangerous black mold and even destroy the invisible mold spores floating in the air from room to room. Do not hesitate to contact our disaster restoration Miami operatives when you find leaks in your home and our staff will be there within the hour for water cleanup before mold spores spawn. Leaks cause mold to blossom and in as little as 24 hours an infestation can form and our technicians are prepared for water extractions as well as mold remediation, so that our disaster restoration Miami agents can help you with the entire restoration service. In addition, black and gray water carry a deadly concoction of contaminates that need to be handled by our disaster restoration Miami specialists with full hazmat gear to avoid diseases. By calling us the moment you undergo a water emergency in your home or business, you can ensure that our pros will arrive quickly and start water restoration efforts. Property owners can also shut down their water line and electricity means to reduce damage from floods and possible short circuits. Furniture, much like carpets, drywall, and support beam wood can absorb water at an alarming rate, so if you can safely remove the furniture from the area before it is contaminated, you can save yourself from further loss. Our disaster restoration Miami will also do this for you when they arrive on the scene. 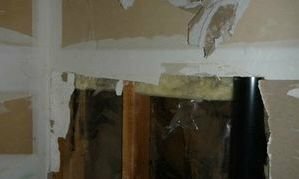 This is why disaster restoration restoration is so important; other problems like mold can surface if disaster restoration is not professionally treated. So, call the best disaster restoration Miami company and let us restore your home safely and quickly! The disaster restoration Miami members provide the best service in Florida. Not only is this shown in our reconstruction abilities, but in the way we treat our customers as well. We always put the customer first, offering comfort and professionalism in any way we can. We restores every home and building to its previous condition, usually making it even more beautiful than it was to begin with. When you call our disaster restoration Miami experts it is because you are in need of expert disaster restoration repair, but what you may not realize is how much assistance you may need with the other parts of the job. Our disaster restoration Miami professional are here to help you with everything, and we will provide you with this help by being constantly accessible to the customer. By providing you with this level of customer service, our disaster restoration Miami staff hopes to always make you feel comfortable with the process, as well as make it easy for you to ask our technicians any questions. Making this whole process as easy as possible for our customers is the main priority of our experts. Our disaster restoration Miami professionals take a lot of pride in how well we initiate customer service with homeowners, and our team look forward to helping you out in any way we can. Our disaster restoration Miami staff are qualified to not only mitigate water emergencies, as well assist you with the insurance process. With all of our experience in the field, our agents know what the insurance companies need to see in order to get you the maximum amount of coverage. Our disaster restoration Miami agents will go over your insurance policy with you, helping you understand what your plan offers and what coverage you qualify for to pay for the disaster restoration remediation. By letting our disaster restoration Miami specialists take over and file your claim for you, you can be sure that our water damage Southeast Colorado Springs pros are getting the job done right. We also offer a free home inspection to everyone, and we even work with your insurance company to ensure that you get the best coverage possible. The extreme weather patterns of Miami cause disaster to strike all too often, and given the many benefits that come with living in the city, it’s important that residents are aware of the disaster restoration services in their area. On top of this, we always make sure to offer the most affordable price, making it possible for you to solicit our services when you are in a jam. Call our disaster restoration Miami team with 911 Restoration Miami and let us help you during your most urgent time of need today!